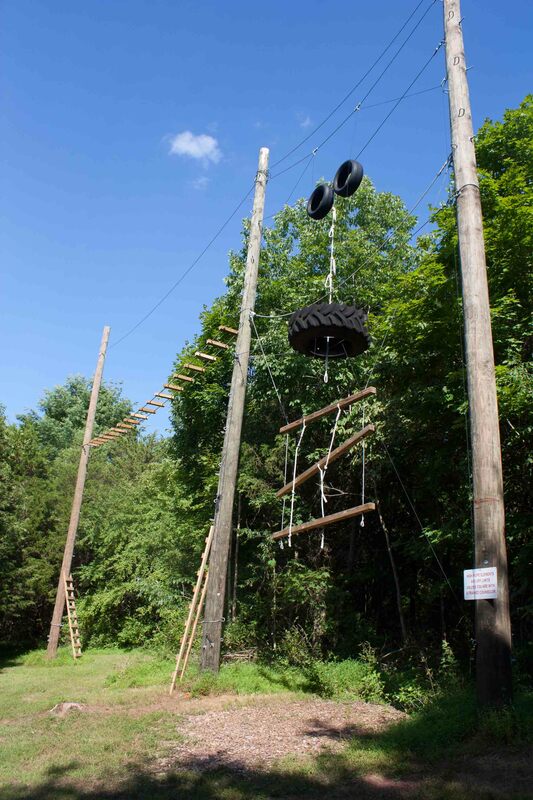 The "horizontal ladder" and "vertical playpen" are the newest additions to our high ropes team challenge course. 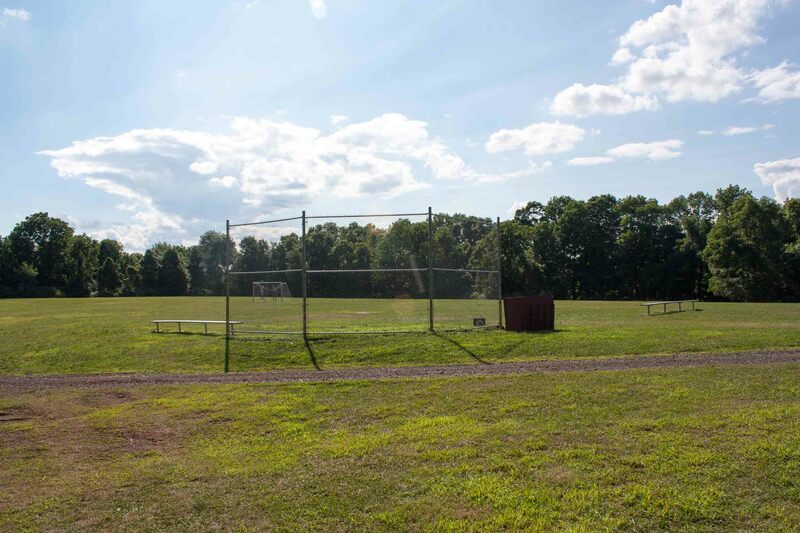 The Boys' Field is used for all-camp games like Prisoner's Base, Doctor Ball, and Flag Tag. It's also got soccer goals and a backstop and bases for baseball, softball, and kickball. 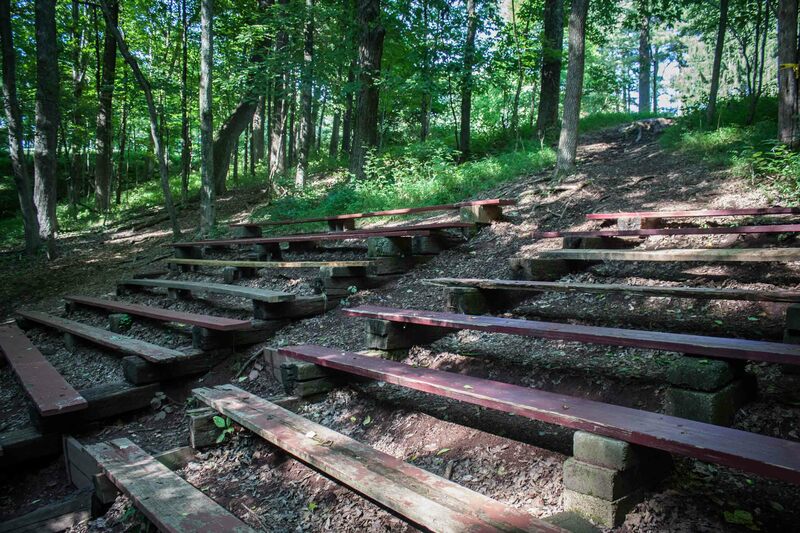 The outdoor auditorium holds the whole camp and is used for campfires and special events. 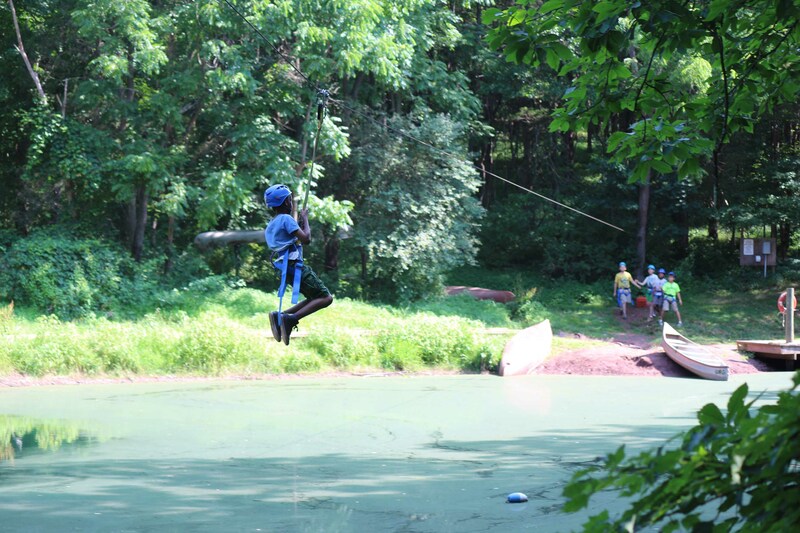 A camper Ziplines across the Pond. 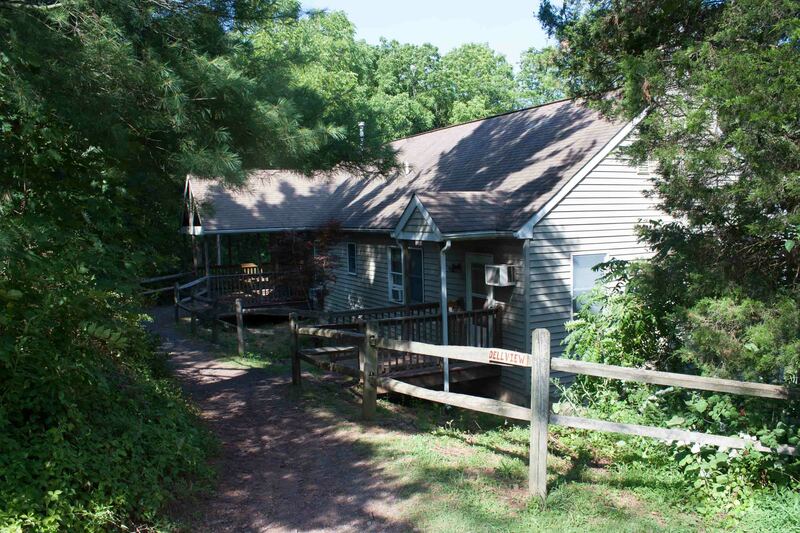 Dellview houses the infirmary and camp office. 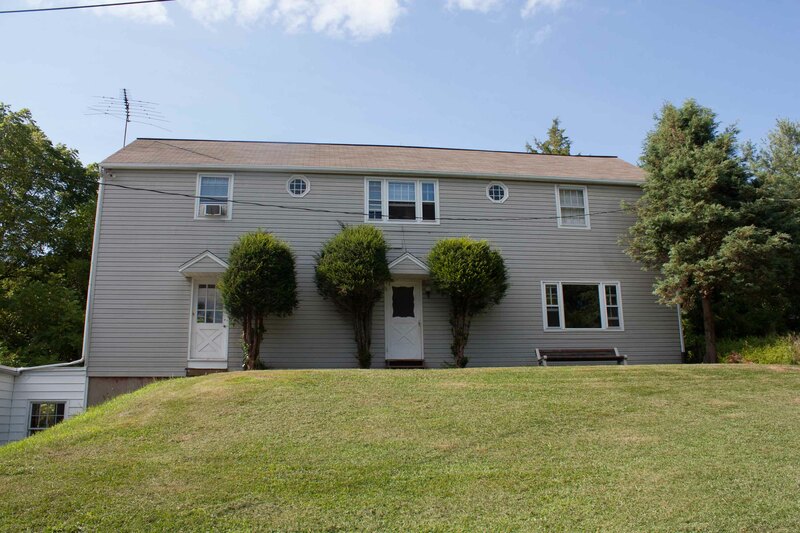 It also has several dorm-style bedrooms, an industrial kitchen anda large meeting room. The Infirmary is staffed by a Registered Nurse as well as counselors trained in first aid. The Texas building has a game room, music room, and the Camp Store. 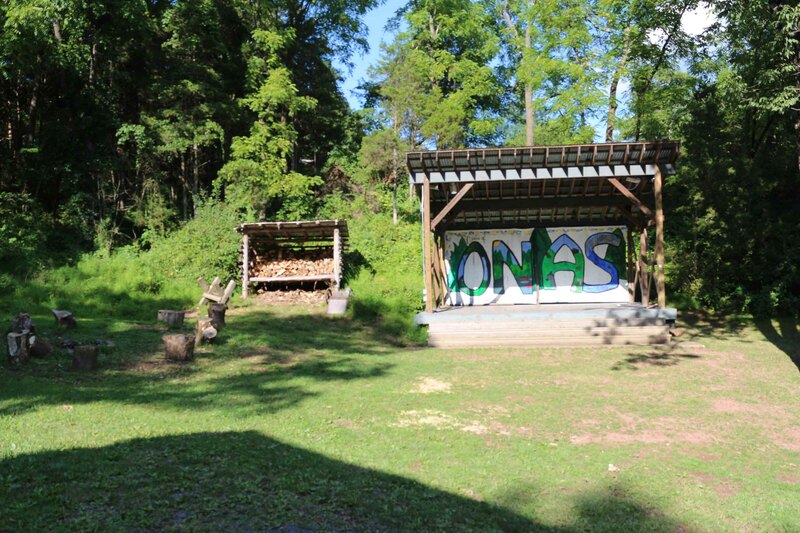 It also has indoor living spaces that can be used by groups in the off-season. 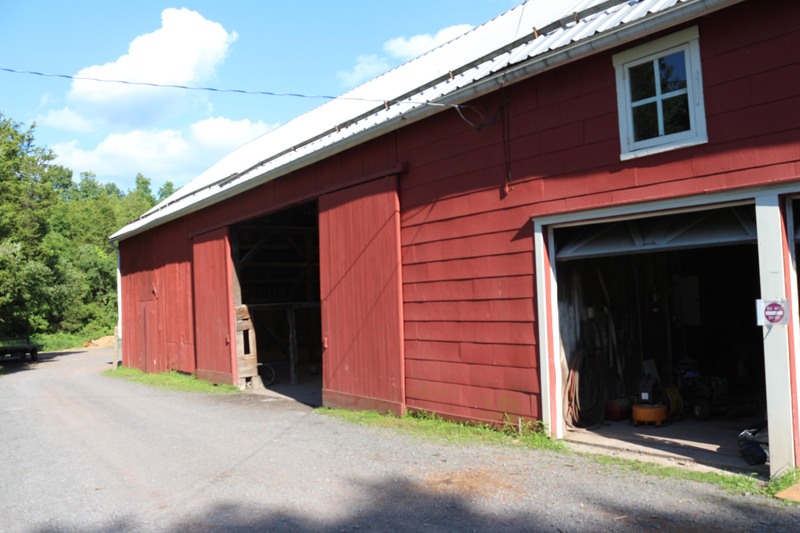 The Barn has a rock climbing wall, basketball court, and swings. It's often used for all kinds of indoor games and sports. The Arts and Crafts area is located in the basement. 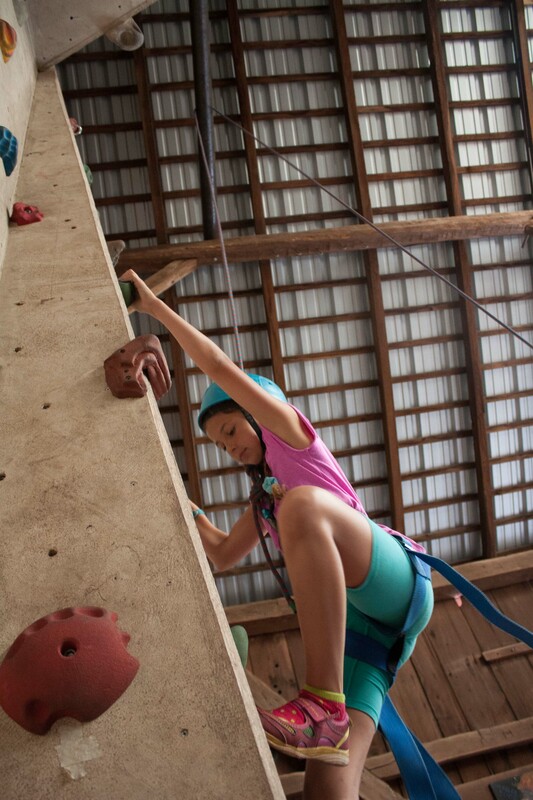 Rock Climbing in the Barn is a popular activity. 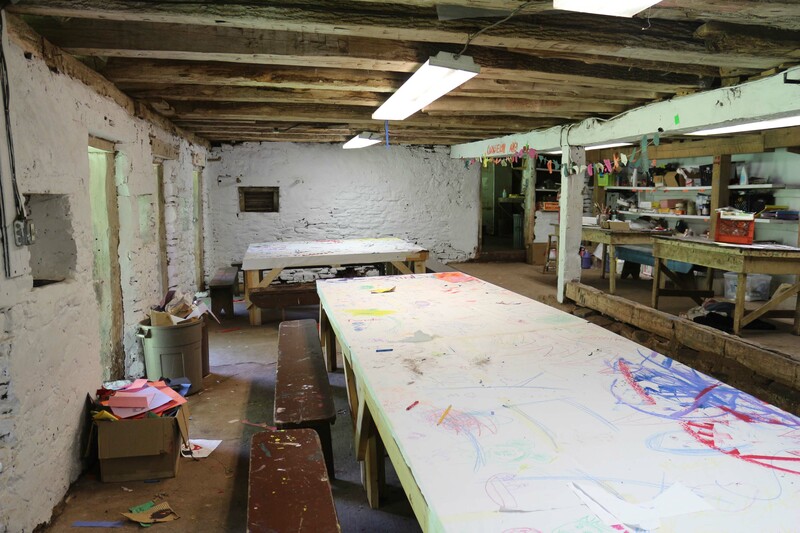 The Arts and Crafts area is a great place to cool off and be creative. 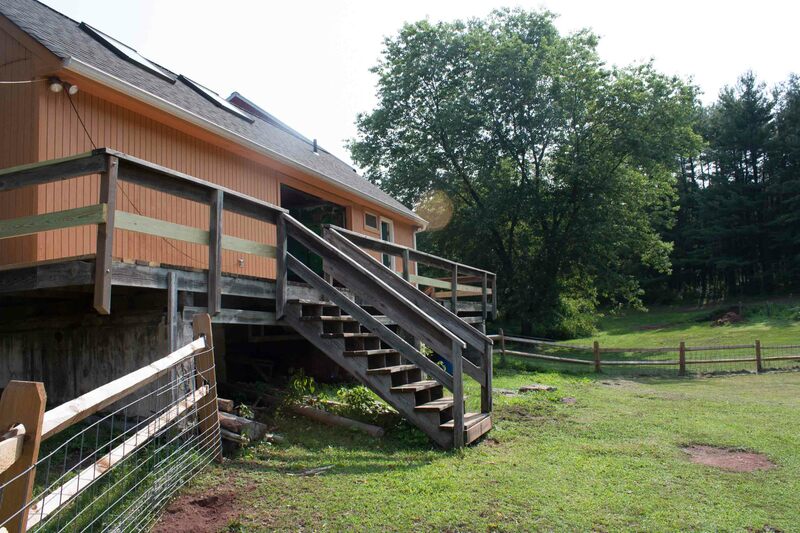 The Nature Center porch opens up to the donkey pasture. 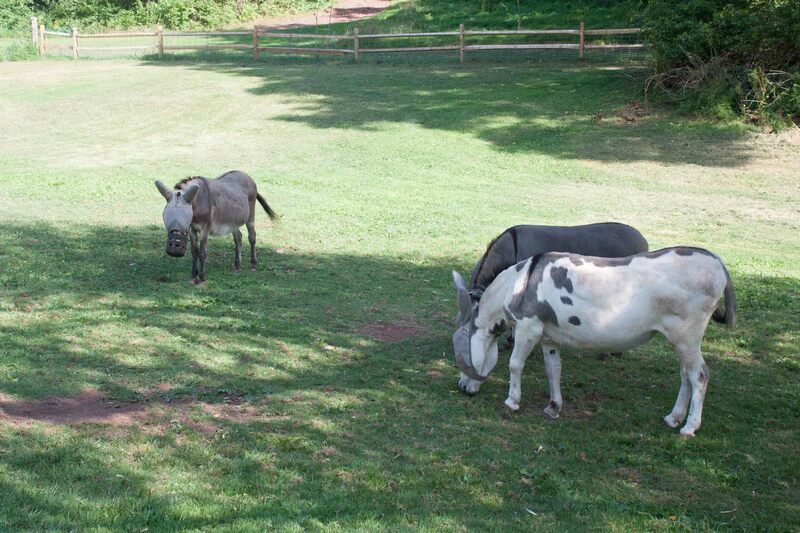 Pepita, Flower, and Cheyenne graze in their pasture in the Lower Fields. 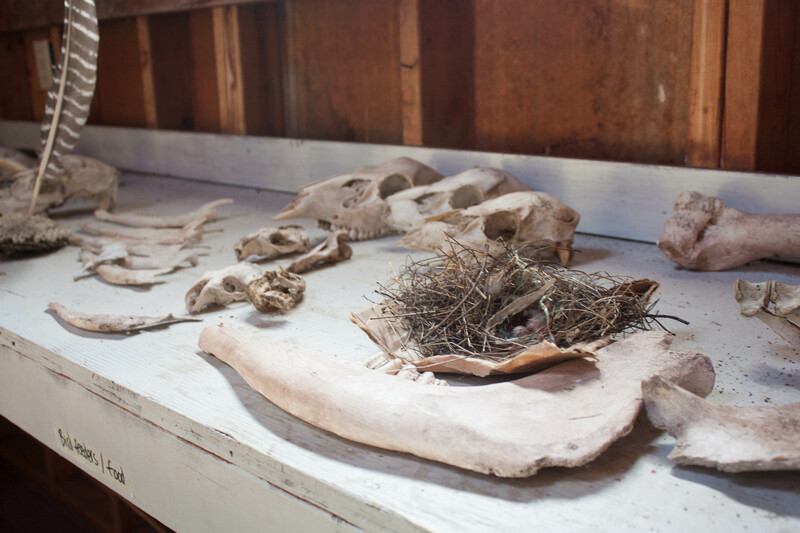 The Nature Center has a collection of specimens that have been found around camp, as well as habitats for critters and information about local flora and fauna. 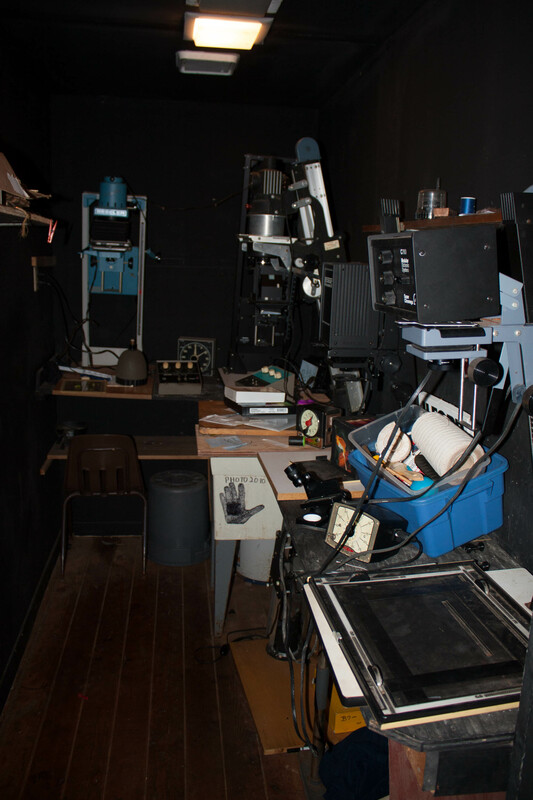 The Nature Center also has a photo lab where campers learn how to take and develop photos with black and white film. 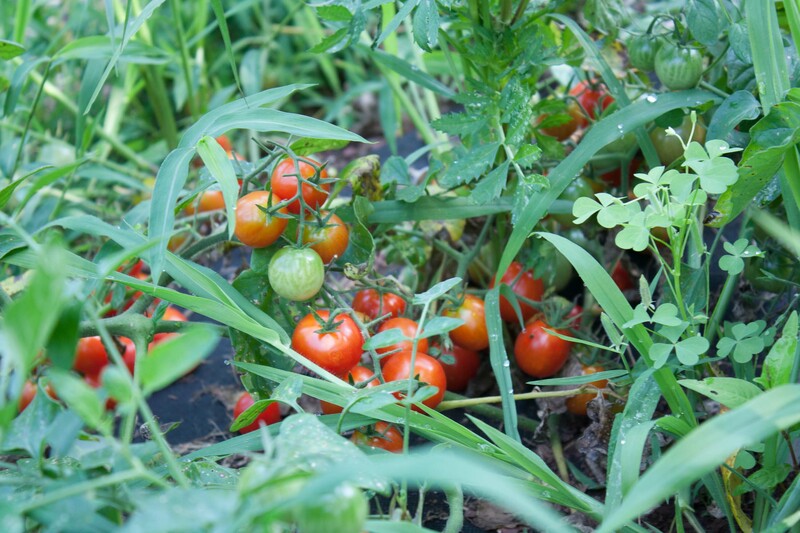 In the camp garden, we grow vegetables like tomatoes and lettuce. The Stage is used for performances like the Talent Show, Dance Show, and the Onas Band.